A second CES 2019 keynoter has been announced by the Consumer Technology Association (CTA): AMD president/CEO Dr. Lisa Su. Su’s keynote address, which marks the first CES keynote from AMD in show history, will provide a view into the diverse applications for new computing technologies, said CTA. She will touch upon everything from solving some of the world's toughest challenges to the future of gaming, entertainment and VR, and their potential to redefine modern life. 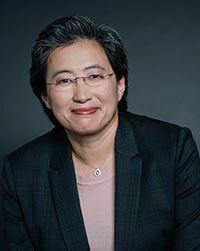 Prior to AMD, Su held executive leadership and engineering positions with AMD, Freescale Semiconductor and IBM after receiving her bachelor's, master's and doctorate degrees in electrical engineering from the Massachusetts Institute of Technology (MIT). They keynote will take place on Wednesday, Jan. 9, at 9:00 a.m., in the Venetian Palazzo Ballroom. "AMD is transforming the future of computing in our ever-expanding digital world and revolutionizing the $35 billion gaming industry," said Gary Shapiro, CTA president and CEO. "We look forward to Dr. Su's keynote as she paints a picture of the next-generation of computing that will help redefine the future of gaming and virtual entertainment." CES will be held Jan. 8-11, 2019, in Las Vegas. Registration is now open. IBM’s Ginni Rometty will also keynote.